Shop online for over 200 icm plastic models at discounts up to 23%. Cars / Trucks / Vehicles is the most popular of the 5 icm plastic models categories, then Figures, and Airplanes. 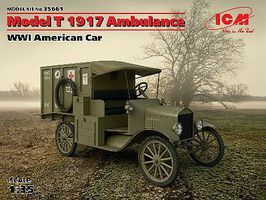 This is the 1/35 Scale WWI American Model T Ambulance 1917 (New Tool) Plastic Model Military Vehicle Kit by ICM Models. 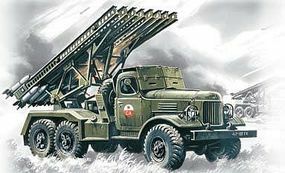 This is the 1/72 Scale BM13/16 Katyusha Soviet Multiple Rocket Launcher Vehicle Plastic Model Kit by ICM. Suitable for Ages 10 & Up. 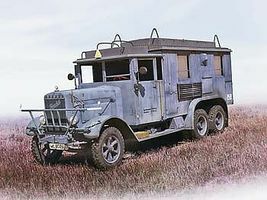 This is the 1/35 Scale Henschel 33 D1 Kfz.72 WWII German Radio Communication Truck Plastic Model Kit from ICM. Suitable for Ages 14 & Older. This is the 1/72 Scale ZIL157 Soviet Army Truck Plastic Model Kit by ICM. Suitable for Ages 10 & Up. 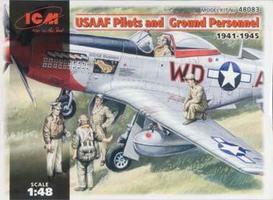 This is the 1/48 scale 1941-45 USAAF Pilots and Ground Personel Plastic Model. Suitable for Ages 10 & Older. 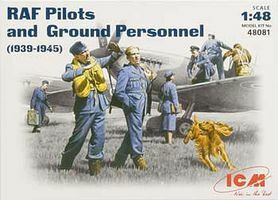 This is the 1/48 Scale WWII RAF Pilots & Ground Personnel (Re-Issue) Plastic Model Military Figure Kit by ICM Models. 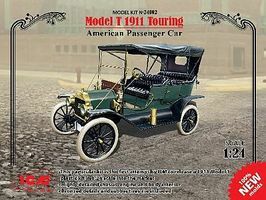 This is the 1/24 Scale Model T 1911 Touring American Passenger Car (New Tool) Plastic Model Car Kit by ICM Models. This is the 1/35 Scale WWII Type 770K (W150) German Leader Tourenwagen Plastic Model Kit from ICM. This is the 1/48 scale Mustang P-51 Plastic Model Kit with Pilots and Ground Crew from ICM. Suitable for Ages 10 & Older. This is the 1/35 scale US Elite Forces in Iraq Plastic Model from ICM. Suitable for Ages 10 & Older. 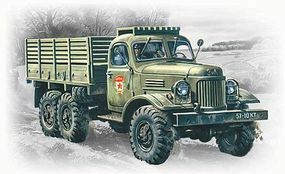 This is the 1/72 Scale Ural-4320 Army Truck Plastic Model Kit from ICM. Suitable for Ages 10 & Older. This is the 1/24 Scale Model T 1913 Roadster American Passenger Car Plastic Model Kit by ICM. Suitable for Ages 14 & Older. 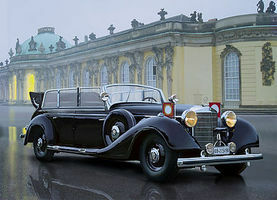 This is the 1/35 Scale G4 1939 Production German Car with Passengers Plastic Model Kit from ICM. Suitable for Ages 14 & Older. This is the 1/24 Scale American Model T 1914 Fire Truck (New Tool) Plastic Model Truck Kit by ICM Models. This is the 1/35 Scale WWI German Infantry in Gas Masks (4) with Weapons & Equipment (New Tool) Plastic Model Military Figure Kit by ICM Models. This is the 1/35 Scale WWI French Infantry 1916 (4) (New Tool) Plastic Model Military Figure Kit by ICM Models. This is the 1/48 Scale WWII German He111H3 Bomber (New Tool) Plastic Model Airplane Kit by ICM Models. This is the 1/48 Scale Bf109F2 Fighter w/Pilots & Ground Personnel 1939-45 (7 Figs) Plastic Model Kit from ICM Models. This is the 1/72 Scale WWI Pfalz E IV German Fighter Plastic Model Kit from ICM Models.